The title of the sculpture is a play on Shakespeare's Measure for Measure. The assemblage is inspired by the beautiful design of age-old measuring tools and the skills of the manual worker that are being replaced by modern technology. 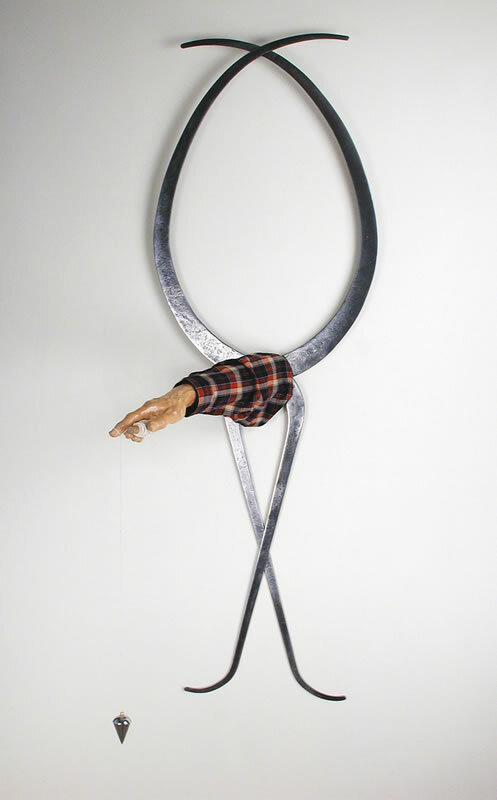 The carved hand and forearm dressed in a check shirt-sleeve emerge from vintage industrial calipers and hold an antique plumb-bob. 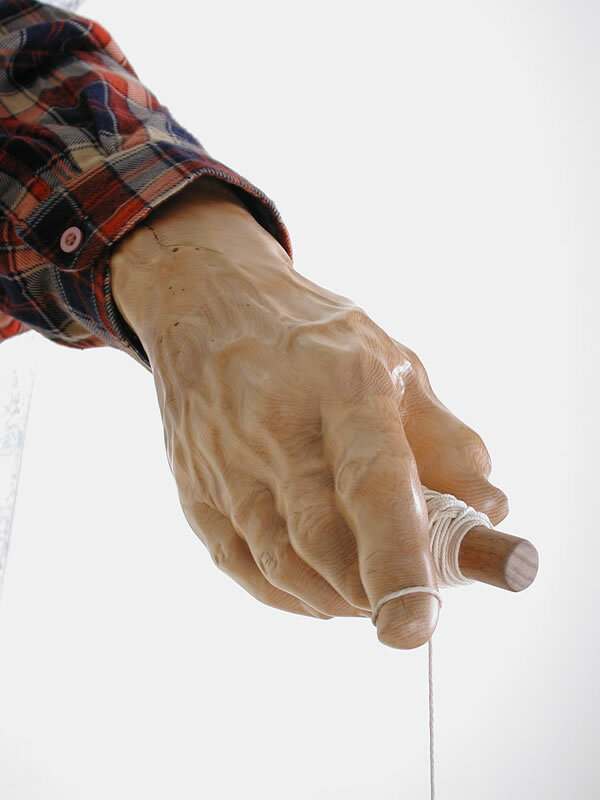 The hand is carved from slow-growing Huon pine with very close growth rings that mimic fingerprints.